For all purchases, we offer a return policy of 14 days. The delivered goods must be returned intact, functioning, unused and in undamaged original packaging. 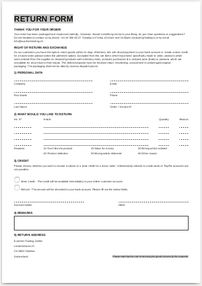 Please use the supplied refund form. For more details about the return policy please refer to the General Terms & Conditions, paragraph 6. Note: The processing time is usually 5 business days. Thank you for your patience.